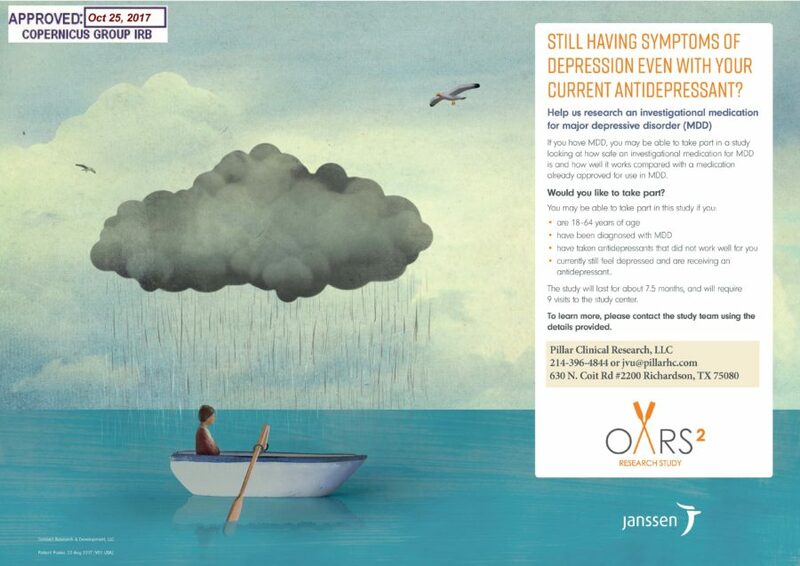 Please contact our Pillar Richardson, TX site to learn more about a clinical research study on Major Depressive Disorder and to see if you or you loved one potentially qualify. Call 214-396-4844 or email jvu@pillarhc.com to learn more. Please share this post on social media to help spread the word!